Violent attacks on higher education communities, including by armed individuals and groups against campuses or individual students and scholars. Attacks against higher education communities often occur in states experiencing conflict or extremism and attacks against individual students or scholars are often intended to retaliate against or deter expression and inquiry. Significant attacks on campuses and individuals were carried out in Afghanistan, Kenya, Pakistan, India, and Yemen. Wrongful imprisonment and prosecution of scholars as part of efforts to retaliate against or restrict academic conduct or expression. This year, SAR recorded 104 incidents of detentions, arrests, warrants issued, investigations, warrants, and other legal practices against hundreds of scholars and students. 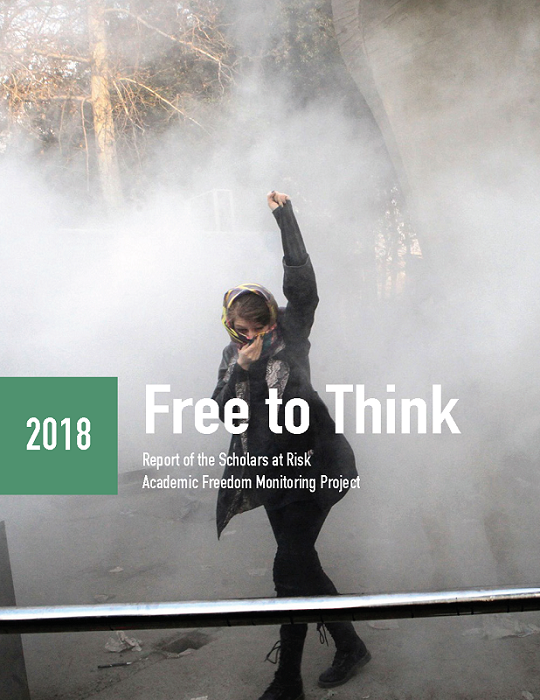 Targeted attacks on scholars and students in Iran, including a crackdown on student protesters following the December 2017 protests and the imprisonment and ill-treatment of scholars detained in connection with their academic activity. Detention of Uyghur scholars and students in China, including in so-called re-education camps, where they have been denied legal counsel and face severe physical and psychological abuse. Pressures on student expression by state, non-state, and university actors including violent attacks, imprisonment, prosecution, and expulsions. This has been most notable in Nicaragua, where police and paramilitary groups have used violent force against students who have been engaged in a nationwide protest movement since April 2018. Ongoing threats to Turkey’s higher education sector, including the continuation of imprisonments, prosecutions, dismissals, expulsions, and travel restrictions against university personnel and students. Restrictions on academic travel, including targeted denial of entry and exit for academic content or conduct and broad restrictions on travel affecting higher education communities. Tensions in the United States, in particular the political targeting of campus speech and heightened political tensions leading to violence on campuses. Threats to institutional autonomy, including state actions to close down or otherwise restrain higher education institutions in Central and Eastern Europe. 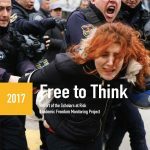 SAR will hold a public Free to Think 2018 report launch and reception on October 23 at New York University’s School of Law, from 6:00 – 8:00 pm. For more information about the report and the event, including requests for interviews with SAR staff, monitors, and event speakers, please contact Alex Bell at alex.bell@nyu.edu.